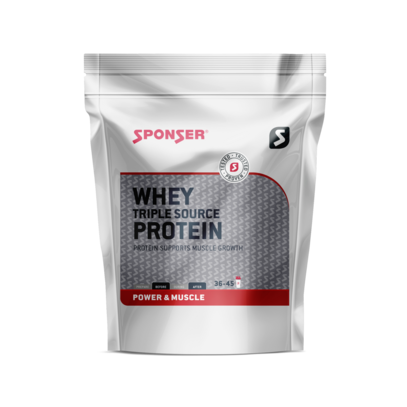 WHEY TRIPLE SOURCE PROTEIN by SPONSER® consists of a whey protein matrix based on concentrate, isolate and hydrolysate. It supports the development and maintenance of muscle mass and, as a high-quality basic protein, convinces through an attractive price-performance ratio. 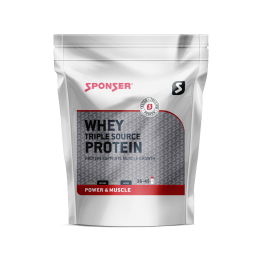 With a protein content of up to 78%, this product lies between the WHEY CONCENTRATE (SWISS WHEY) and the WHEY ISOLATE 94. Available in the delicious flavours Vanilla Dream and Swiss Chocolate. For further information & purchase please click/select the product in the slider below.